A Federal High Court sitting in Lagos presided over by Justice Cecilia Mojisola Olatoregun, on Tuesday, lambasted the Standard Organisation of Nigeria, (SON) for wasting government resources and engaging in corrupt activities. Justice Olatoregun made this known when a criminal matter filed by SON against two Chinese nationals and two other Nigerians currently facing trial for alleged importation of substandard tyres worth over N5 billion came up before her. At the resumed trial of the matter marked FHC/L/73c/17, between FRN vs. Taolung Shena and Others, on Tuesday, a lawyer Mr. Oluwafemi Olabisi from Festus Keyamo’s Chambers, announced his appearance for the prosecution, it was at this point that Justice Olatoregun cut in and said: “why, what happened to the lawyer from the organisation?. Responding, Olabisi informed the court that he has a fiat from the Attorney-General office to prosecute the matter. Justice Olatoregun again cut in and said “yes that is what I am saying, how can SON or any government agency who have a legal department with competent lawyers be hiring external lawyer, this is a waste of government resources and ‘grand’ corruption. “I am a tax payer and my money is part of what is being squandered through corruption. I hate corruption in all ramifications”, Justice Olatoregun stated. 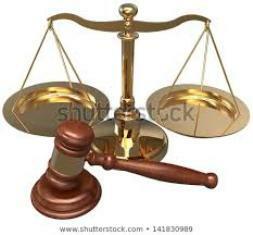 When reminded by Olabisi that this is open court,, Justice Olatoregun said: “yes, I know it is an open court, what I am saying is that why should SON or any government agency with lawyers who are being paid from public taxes be left idle and their jobs contracted out l to private lawyers, she frowned. The trial judge was also irked by the persistent refusal of two of the defendants to come to court and attend to their trial. While adjourning the matter till March 27, the trial judge directed Olabisi to ensure that all accused are present on the next adjourned date. Be the first to comment on "Judge Accuses SON Of Wasting Government Resources, Corruption"